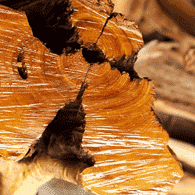 What is a classic woody fragrance oil? This is a perfume in an oil based composition that highlights classic woody notes. Scorpio shares notes of fresh citrus and soft powder followed by a to..
Scorpio shares notes of fresh citrus and soft powder followed by a touch of aged patchouli. Its finish is our proprietary blend of plant oils that mimic intoxicating Brazilian bois de rose. The scent is equally suited to women and men.Click here to check out celebrities that selected Scorpio. To see Scorpio in magazines click here.Jane's inspiration: A distinctly unisex fragrance for patchouli lovers with powerful aphrodisiac qualities. The ingredients of Scorpio are reputed to support the sacral chakra - so if you are purchasing the fragrance oil roll-on, we recommend the carnelian stone. Carnelian attracts and projects the same vibrational energy as the plant oils in the formula. It stimulates creativity and attracts prosperity, fun and romance.Contains: Our proprietary fragrance composition of 100% natural essential oils and absolutes distilled from genuine flowers, fruit, citrus, seeds, grasses, leaves, bark, wood, and spices via cold press, hydro, steam, CO2 or soxlet extrac..
Kincaid is a deep, woody scent - possibly the most woody of our sel..
Kincaid is a deep, woody scent - possibly the most woody of our selection. It features coastal rockrose, forest lichen, French moss and Monterey pine. The scent is equally suited to women and men.Click here to check out celebrities that selected our Kincaid. To see it in magazines click here.Jane's inspiration: Kincaid was originally created for our dear friend, Jeff, the talented artist that helped us craft the authentic 15th century French gold gilding of our Carmel boutique. During the construction, Jeff asked Jane if she could create a scent for him. Jane dreamed of a bear within a forest cave. Upon telling Jeff, he smiled and opened his shirt to reveal the tattoo of a bear claw - his life totem - upon his sternum over his heart. The tattoo you see in the images. The ingredients of Kincaid are reputed to support the heart chakra - so if you are considering the fragrance oil roll-on, we suggest jade. The jade stone focuses and magnifies the energy o..
California Dreamin opens with sunny fresh bergamot. Its herbal heart..
California Dreamin opens with sunny fresh bergamot. Its herbal heart accord contains mystic white sage, lavender and lemon eucalyptus. Its power and drive comes from an ancient forest base accord with notes of moss, rich cedar and fir with a touch of aged patchouli to entice our inner rebel.Click here to check out celebrities that selected our California Dreamin. To see it in magazines click here.Jane's inspiration: From the Summer of Love Collection, California Dreamin is inspired by the near-meditative experience of hiking the California coast. From the earth aromas to the ancient redwoods to the sunny hillsides dotted with wild flowers, sage, bay laurel and eucalyptus. You find organic farms of lavender, beautiful white sand beaches, rolling fog and the waft of smoke from beach campfires and cozy cottage fireplaces. The ingredients of California Dreamin are known to support the base chakra. So if you are thinking of a fragrance oil roll-on, we sugg..
3rdEiger is a woody chypre orchestrated with the 3 key notes of all ..
3rdEiger is a woody chypre orchestrated with the 3 key notes of all chypre scents. It begins with bitter orange note of Earl Grey tea, followed by ambery rockrose and finishing with French oakmoss. The scent is equally suited to women and men.Click here to check out celebrities that selected our 3rdEiger. To see it in magazines click here.Jane's inspiration: Jane is the more woody mate of one of Jane's first fragrance creations, Savoir. Jane wanted to create a woody unisex chypre without floral notes. As a result, 3rdEiger was born exuding a captivating oriental tea-like aroma. The ingredients of 3rdEiger are reputed to support the third eye chakra. So if you choose to purchase a fragrance oil roll-on, may we suggest Lapis or Sodalite. These stones vibrate with the same resplendent energy as the plant oils in the formula. Together they magnify and enhance mental focus, intuition and wisdom, while helping quiet the over-active mind.Contains: Our proprietary frag..